It will come as no surprise to readers that I’m no fan of the work of Hernando de Soto. However, he’s on to something when he argues that, in the lead up to the financial crisis of 2009, a great deal of economic knowledge was destroyed. Basically, de Soto starts from the presumption that “reliable economic knowledge” is crucial to the functioning of capitalism. However, something fundamental changed in the last 20 years or so: North Americans and Europeans destroyed many of those facts. 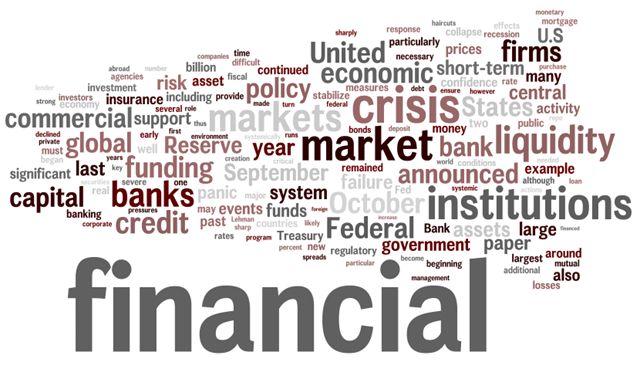 The very systems that could have provided markets and governments with the means to understand the global financial crisis—and to prevent another one—are being eroded. Governments have allowed shadow markets to develop and reach a size beyond comprehension. Mortgages have been granted and recorded with such inattention that homeowners and banks often don’t know and can’t prove who owns their homes. In a few short decades the West undercut 150 years of legal reforms that made the global economy possible. As a result, neither bankers nor the bank regulators, much less customers of bank loans or those who purchased simple and complex financial products, had the appropriate “economic facts” about the financial system. If the destruction of knowledge played a role both in causing the crisis and in creating a weak recovery, we then have to ask what is in capitalism as it developed during the last 20 years allowed this to happen. In particular, what role did the complex interplay between the anarchy and policing of capitalist markets, between private and public knowledge, between creating and shifting risk play in the way knowledge was both organized and destroyed both before and during the financial crisis that begun in the fall of 2008. 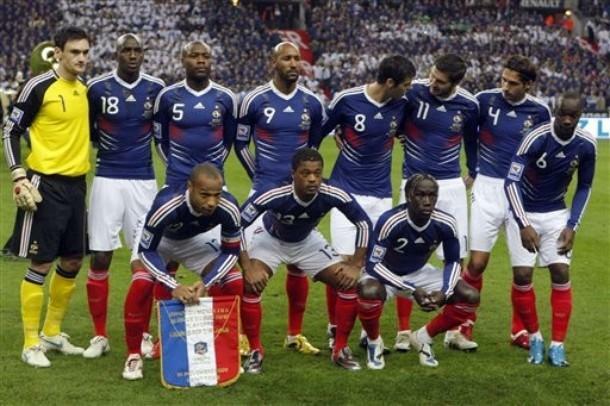 French football was already is disarray after the players’ strike and the first-round exit of the national team from World Cup 2010. Now, it is mired in allegations of racism. French football was plunged into turmoil again when the national federation’s (FFF) technical director Francois Blaquart was suspended on Saturday amid a row over an alleged project to enforce racial quotas in youth academies. . .
On Thursday, French investigative website Mediapart (www.mediapart.fr), citing sources within the FFF, said [national technical director François] Blaquart proposed to enforce racial quotas to limit the number of players of black or Arab origin in youth academies. On Saturday, Mediapart published a verbatim report of a meeting at which Blanc, Blaquart, under-21 coach Erick Mombaerts and under-20 coach Francis Smerecki, among others, had a debate over African players with dual nationality groomed in France eventually opting to play for their country of origin. France under Sarkozy has never directly confronted the conditions leading up to the 2005 riots in the North African banlieues. And now it is facing facing a reemergence of far-right ideas, with National Front presidential candidate Marine Le Pen soaring in recent opinion polls. This year, April in Paris is a feeling we won’t want to reprise. Employment fell by 3.1 million jobs during 2008. 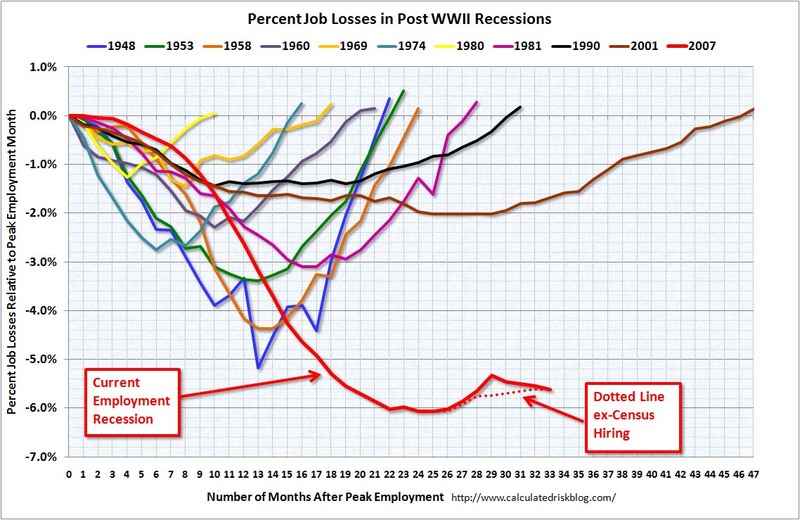 The job losses were more widespread and severe than during the previous two recessions in 1990-1991 and 2001 and in fact the fall in employment is comparable to that in the deeper recession of 1981-1982. Nobody wants to read the story of “unemployed man” but he won’t go away. In fact, in many ways his situation is getting worse. Officially, there are about 13 and a half million unemployed people in the United States. If we add those people who are working part-time for economic reasons (8.4 million), workers who are marginally attached to the labor force (2.4 million), and discouraged workers (about a million), there are over 25 million unemployed and underemployed workers in the United States. The time “unemployed man” has been without a job is also getting longer. More than 6 million people have been officially unemployed for 27 weeks or more. That’s 45 percent of the total. The chances of being “unemployed man” are much higher if you’re young (24.5 percent if you’re between the ages of 16 and 19), Black (15.5 percent), or Hispanic (11.3 percent). “Unemployed man” is also running out of jobless benefits. The total number of people claiming benefits in all programs in mid-March was 8 and a half million (here is the breakdown of benefits). That leaves about 5 million unemployed people who are not receiving benefits of any sort. 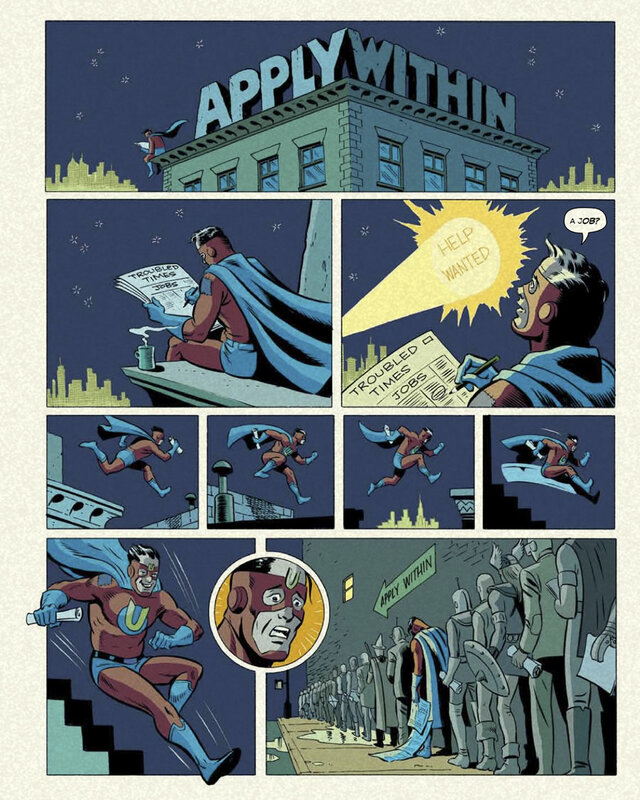 Clearly, the misadventures of “unemployed man” make for terrible bedtime reading. 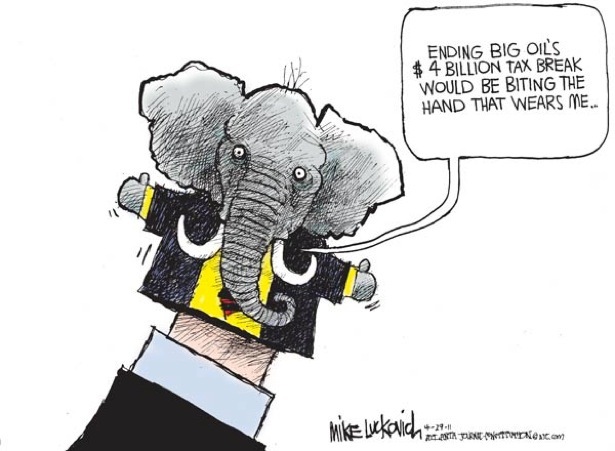 So, instead, the politicians and mainstream economists distract us by telling doom-and-gloom stories about soaring fiscal deficits and trying to convince us of the need to slash entitlement programs. But that won’t save us from the nightmare of millions of people who are without a full-time job, for longer and longer periods of time, and who are running out of jobless benefits at alarming rates. The next time someone—a neoclassical economist, wealthy individual, or large corporation—complains that the U.S. tax burden is too high, just show them the facts above. 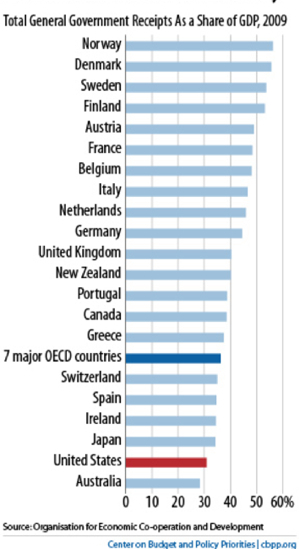 Whether measured in terms of total government revenues or total tax revenue as a share of GDP, U.S. taxes are low by international standards. The problem is not that taxes are too high but that those who can pay—wealthy individuals and large corporations—do not and those who should know better—neoclassical economists—do their bidding.